Iran’s ballistic missile test this week—the latest in a series of about 12 tests since the nuclear deal was announced—is “in defiance of [United Nations] Security Council Resolution 2231, which calls upon Iran ‘not to undertake any activity related to ballistic missiles designed to be capable of delivering nuclear weapons, including launches using such ballistic missile technology,'” Flynn said. He also chastised Iran for attacking U.S. allies in the region and training terrorist forces. The missile test and provocative actions against the US army not directly related to the nuclear deal, but show Iran “continues to defy international norms,” the official said. The White House is no longer willing to “tolerate continued Iranian provocation,” according to the official, who explained that a range of responses are currently under consideration. Flynn went on to criticize the Obama administration for failing to take appropriate action when faced with Iranian aggression. Iran remained defiant in light of the Trump administration’s criticism, maintaining that its ballistic missile tests do not violate international agreements. Iranian officials shrugged off concerns about possible repercussions under the Trump administration. 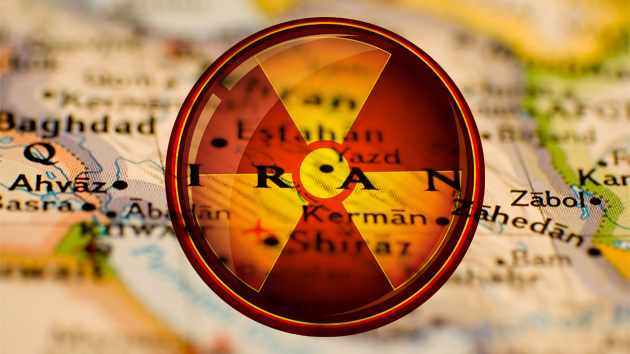 Iranian officials disclosed this week that the country has begun to enrich uranium, the key component in a nuclear weapon, using highly advanced centrifuges. The next-generation centrifuge models spin uranium much faster than previous generations, enabling Iran to more quickly enrich uranium to the level needed for nuclear power. One foreign policy insider close to the Trump national security team told the Free Beacon that Iran is in for a wake-up call.